Want to own the world’s largest video game collection? 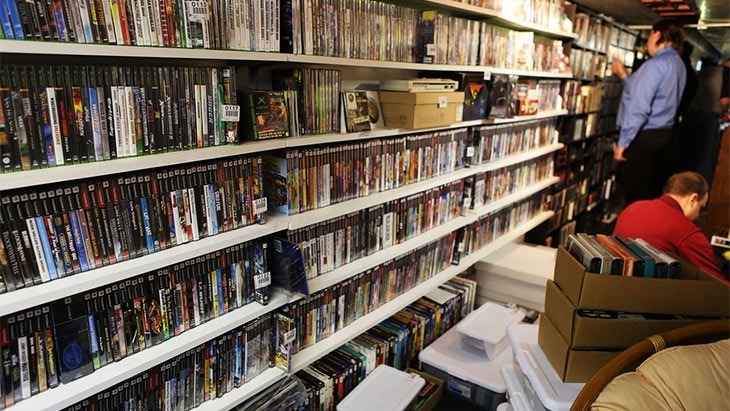 Michael Thommason has been collecting video games for over 25 years. 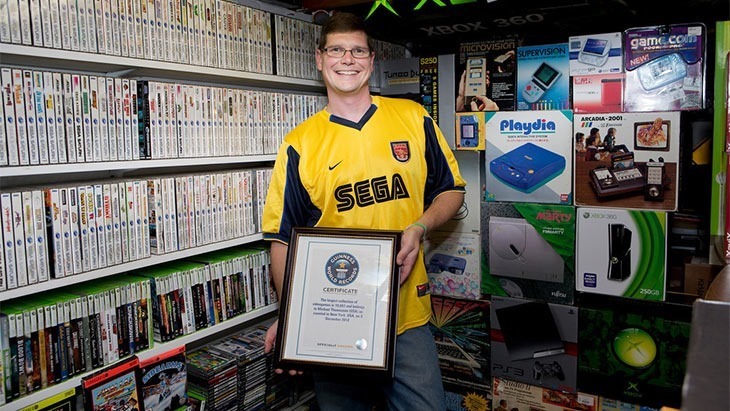 To date, he’s collected over eleven thousand of them, winging his way in to the Guinness book of World Records as the owner of the world’s largest video game collection. And now, it can be yours. He’s auctioning off the collection in its entirety, on games specialist auctioneer, Game Gavel. There are 21 consoles along with complete North American sets of released games. That means every single officially released game for those systems. There are also 14 more systems with "near-complete" sets, and many, many more with partial sets. 3DO, Action Max, AGP X-System, Atari 5200, Atari 7800, Atari Jaguar, Atari Jaguar CD, Atari Lynx, Buzztime, Captain Power, Game Boy Advance e-Reader, Neo-Geo Pocket Color, Nintendo Virtual Boy, NUON, Sega CD, Sega Saturn, Sega Dreamcast, Tapwave Zodiac, Tiger Game.Com, Turbo-Grafx-16 CD and Turbo-Grafx-16 Super CD. Bally Videocade, CougarBoy, Fairchild VES Channel F, Game Wave, Gizmondo, Halcyon Interactive, LaserActive, Magnavox Odyssey2, NEC PC-FX, N*Gage, Sega 32-X, SuperVision, Vectrex and XaviX. And games for just about every other system ever released. The collection is just way, way too huge to list, so take a look here to see what’s included. As of writing the current bid, which fails to meet the reserve, is standing on $5,678.00, and for just $100 more, you could be in the running to own a significant slice of video game history. I’d have no idea how’ you’d ship it all though. That is a ludicrous number of games – that should net you about R28 if you traded them in at BT Games.